A few weeks ago I wrote about Rexona’s move into branded content, creating their own 8 week show now being broadcast by one of Australia’s biggest national networks. 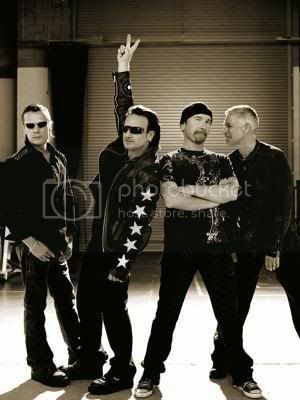 Now, not to be outdone, rock band legend U2 announced their own version of branded content – performing every night for a week on the US late night talk show – The Late Show With David Letterman – to promote their upcoming new album, “No Line on the Horizon.” It’s the first time a musical guest has been on every night on the show. Tonight is the first night of the big week-long event. First of all, we all don’t work with brands with the same audience power/interest as U2. I get it. But I’m definitely tuning in to see what role U2 the band and the brand have on the show. I think Conan did something similar a few years back with the White Stripes. Good way to not only pay attention to what your competitiors are doing, but also learn to experiment from the status quo model and stay true to your core audiences. Letterman and Conan audiences have always been younger and appreciated the music acts through the years, so great way to foster this relationship.